Ages 13 and up. Ages 13-17 must be accompanied by an adult. Nominated “Best Magician in Las Vegas” and voted “World’s Best Entertainer” in his field, Gerry thrills audiences with incredible mentalism skills, and his ability to get inside the minds of others has garnered worldwide attention. You won’t believe it until you see him live. This is an incredible example of the mysterious art of mentalism. You will wonder how he can read your innermost thoughts. 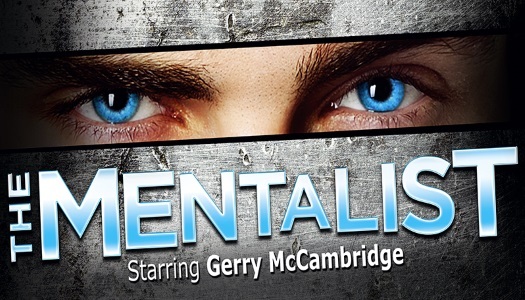 What makes The Mentalist an astonishing show is the high level of interactive participation that takes place as Gerry pulls random information from audience members’ minds, from their names and their hometowns to their wishes and hopes, names of companions and their birthdays. The show is truly mind-boggling and great fun. These mindreading skills were demonstrated time and time again on The Today Show, David Letterman and a Special Report on CNBC. Millions around the world have seen the prime time network television special. DINNER OPTION: Upgrade your ticket for this show and have dinner at one of our two restaurant partners. Dinner will not be served in the showroom. It will be served before or after the show in one of these dinning establishments of your choice.